Researchers also found that rheumatoid arthritis patients who drink tend to have less severe symptoms than nondrinkers. (Health.com) -- Moderate drinking has been linked to a variety of health benefits, including a reduced risk of heart disease, stroke, and diabetes. According to a new study, drinking alcohol may also ease the pain of -- and lower the risk of developing -- rheumatoid arthritis, a potentially crippling autoimmune disorder. People who don't drink alcohol are roughly four times more likely to have rheumatoid arthritis than people who have at least one drink three or more days per week, the study found. The researchers also found that rheumatoid arthritis patients who drink alcohol tend to have less severe symptoms than their nondrinking counterparts. And the more often they drink, the milder their symptoms are. An estimated 1.3 million adults in the U.S. have rheumatoid arthritis, a disorder in which the body's immune system inappropriately attacks the joints, causing inflammation, pain, and swelling. Some people experience temporary or intermittent symptoms, but severe cases of the disorder can be disabling. "Alcohol reduces immune activity, at least to some extent, and [we] suspect that this is the main reason that alcohol consumption is associated with a reduction in severity of rheumatoid arthritis," says the lead author of the study, James Maxwell, a rheumatologist at Rotherham Hospital, in the U.K. "Alcohol may also have a mild painkilling effect." This doesn't mean that rheumatoid arthritis patients should head for the nearest bar or liquor store. Maxwell and his colleagues looked only at how many days per month the participants drank, not how much they downed at each sitting or what they filled their glasses with, so the link between overall alcohol use and rheumatoid arthritis remains a bit fuzzy. In addition, some rheumatoid arthritis drugs -- such as methotrexate -- can cause liver damage if consumed with alcohol, says Martin Bergman, M.D., chief of rheumatology at Taylor Hospital, in Ridley Park, Pennsylvania. "Moderation is the key," says Bergman. "This [study] is by no means encouraging people to go out and get hammered, but as long as there are no [drug] contraindications, there may be some benefits to moderate alcohol consumption if you have RA or are at increased risk for it." In the study, which appears in the journal Rheumatology, Maxwell and his colleagues asked 873 people with rheumatoid arthritis and roughly 1,000 people without it to estimate how many days in the past month they'd had at least one drink. The researchers measured the severity of rheumatoid arthritis symptoms using questionnaires, joint X-rays, and blood tests that gauge inflammation. People who'd had a drink on more than 10 days in the past month were less likely to have rheumatoid arthritis than people who didn't drink at all, and if they did have the disorder, they tended to have less severe symptoms according to each of the measures the researchers used. However, the number of days per month a person drinks doesn't provide the best picture of alcohol intake, says Eric Matteson, M.D., the chair of the rheumatology department at the Mayo Clinic, in Rochester, Minnesota. "How much a person drinks is probably more relevant than how often," he says. "There are people who binge drink quite a lot but may not drink every day, whereas someone who drinks wine every day is considered a frequent user." This was the first study in humans to examine the link between alcohol consumption and the severity of rheumatoid arthritis. The findings also confirmed previous research suggesting that regular drinking may lower the risk of developing the disorder. 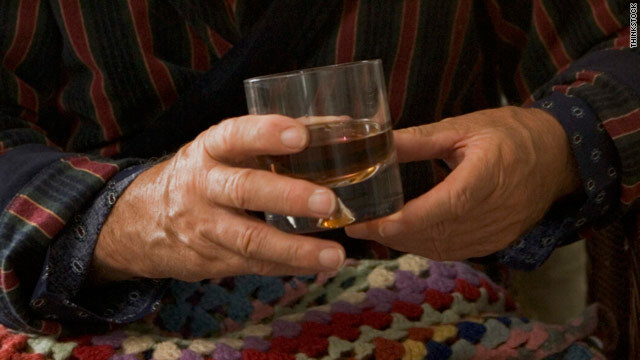 Drinking alcohol doesn't necessarily prevent rheumatoid arthritis, however. Experts believe a complex mix of genetic, environmental, and hormonal factors causes the disorder, so while alcohol consumption may affect a person's risk, it's unlikely to be the deciding factor. More studies will be needed to confirm the apparent benefits of alcohol on rheumatoid arthritis. The researchers did not follow the participants over time, so they were unable to track how long-term drinking habits -- or changes in those habits -- may affect the disorder. The study's design also means the researchers have no way of knowing whether greater alcohol consumption leads to less severe symptoms, or vice versa. As Matteson points out, "It may be that people with less severe [rheumatoid arthritis]-related pain and fatigue are more likely to drink in the first place."